Now in it’s sixth year, we’ll be starting Bushcraft Club again in the first week of May. This year we’re trying something a little different and have decided to run seperate sessions for families and adults, allowing us to cover more challenging subjects on the adults only sessions. 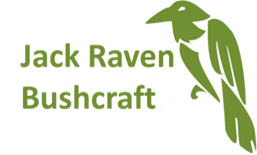 Bushcraft Club is based at our ancient woodland camp in Westwell, Kent. Family Bushcraft Club is intended for parents, grandparents, aunties, uncles and their children; it will run for 8 weeks on a Tuesday evening from 6:30pm until 8:30pm starting on the 7th May until 25th June. Cost is £12.50 per adult and £7.50 per child. Adult Bushcraft Club is for over 16s only. It will run for 8 weeks on a Thursday evening from 6:30pm until 8:30pm starting on the 9th May until 27th June. Cost is £12.50 per person. * Adult bushcraft club will be pitched at a higher level than family bushcraft club. If you’d like to join, get in touch to book on. We’ll need the first 2 weeks as a deposit, after that it’s pay as you go. *We’ve increased the cost this year after keeping it the same for the past 5 years.